There’s just something special about running in Paris. I discovered it years ago and ever since then I always pack my running gear when we visit this magnificent city. 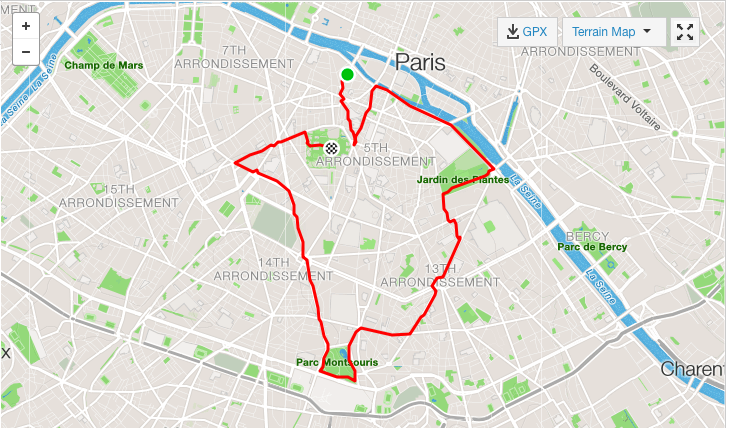 I mean, there’s nowhere else in the world where a 6-mile run take you along the Seine, loop around the Tour d’Eiffel and finish at the Musée du Louvre. 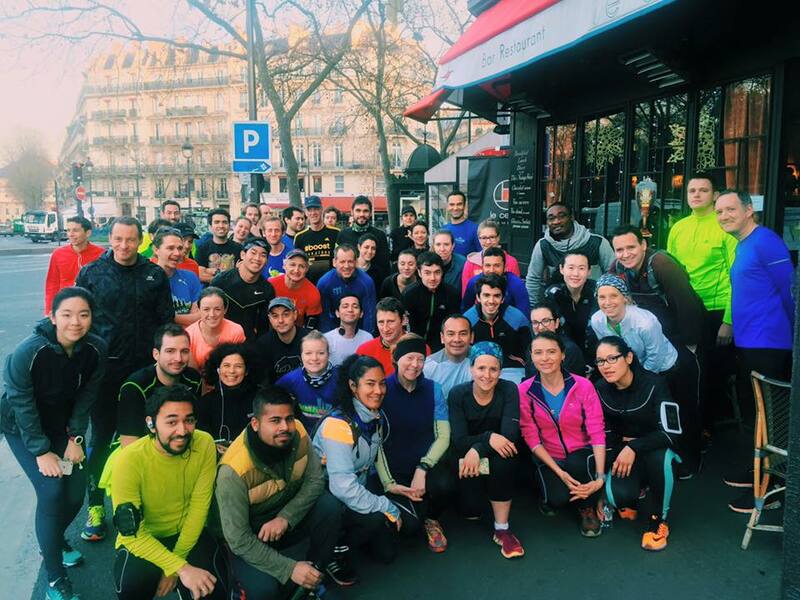 Now, while running alone in Paris is fun, running with a local running group turns fun into an adventure. That’s exactly what I did last Saturday! 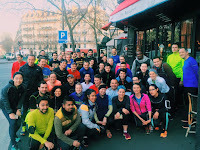 It all started about 2 months ago when I discovered an article in the app SmarterParis about running in Paris. One of the tips the article mentioned was finding local running groups. After just a bit of searching, I discovered the group Let’s Run Paris. After being accepted to join their Facebook page, I’ve been watching with excitement each week as they post their routes. Finally, the Saturday arrived where I was able to join them. Let's Run Paris FB page). I arrived at the rendezvous point - Le Cercle Luxembourg - about 15 minutes early. Since I was in my running gear, it was pretty easy to figure out why I was there. People immediately began to come over to greet me with warm smiles and a friendly bonjour! Of course they all wanted to know where I was from and what brought me to Paris at Christmas. After a few announcements we were off. The group broke into 5 sub-groups based on pace. It took a little algebra but I finally decided to run with the 6 minute pace group. 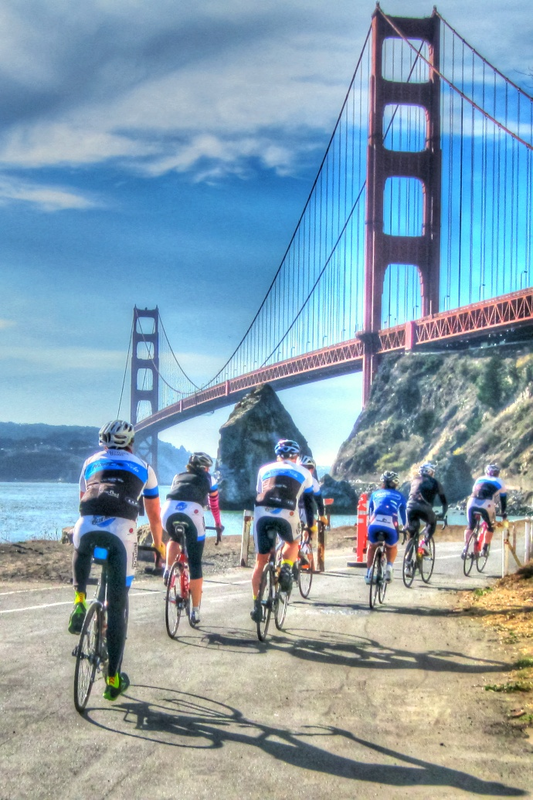 The route was 12k (7.5 miles) through parts of the 5th, 6th, 13th and 14th arrondissements. We started down the Boulevard Saint-Michelle, past the University Paris-Sorbonne towards the Seine. As we ran, we discussed American politics, English football (soccer) and world events. After following the Seine for a kilometer or so, we turned back into the city through the Jardin des Plantes. At this point we traveled through 8 kilometers of Paris that I had never seen. It was amazing! As we ran through the 13th arrondissement, my new friends would tell me about the history. At one point we went through an area where writers, artists and philosophers like Sartes used to hang out. 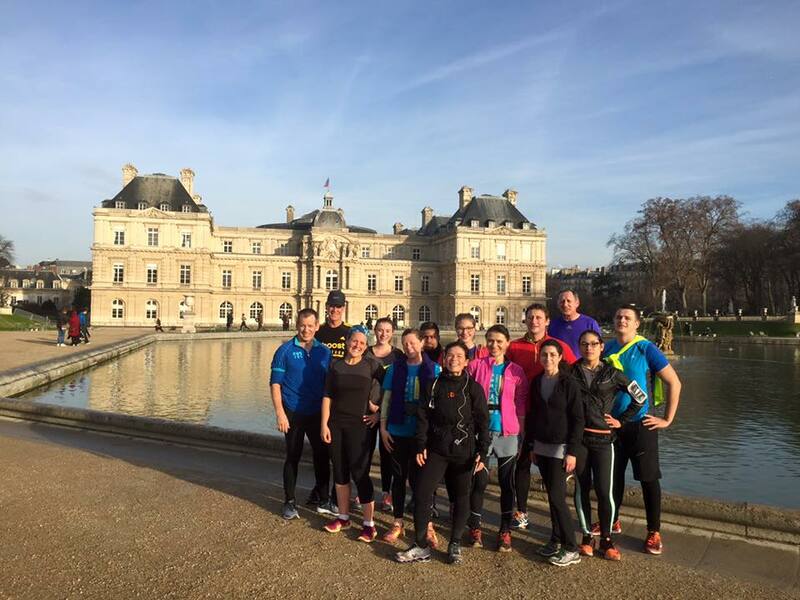 We ran through the Parc Montsouris, which was a particularly beautiful park full of other runners who were also out enjoying the morning. We continued into the 14th arrondissement where we ran near the Tour and Cimetière du Montparnasse. Finally, we made it back to Le Jardin du Luxembourg where apparently the tradition is to stop at the fountain for photos and celebration of a great run. There are a lot of reasons this was such a cool experience for me. To begin with, I am a social runner, which means running with friends is always more enjoyable than running alone. I got to see some beautiful parts of the city that I would not have gone to for any other reason. Finally, since all I had to do was follow the run leader, I was able to relax and simply take in my surroundings as I ran. It was a great way to spend a Saturday morning in Paris. I got to meet new people, get in a great run, and explore new parts of the city Sherry and I love so much. At some point during the run, I felt more like a local than a visitor and that was a great feeling. I would highly recommend this experience to anyone. Whether your passion is running, cycling, hiking, or whatever, there’s probably a group of like minded souls in every place you visit. It only takes a little bit of research to turn your passion into the adventure of a lifetime.